Replacing Nikon's popular D3200, the new D3300 offers an even higher level of performance with a user friendly design and an attractive price. It shoots sharp 24.3-megapixel images and smooth 1080p video at a top-performing 60 frames per second. The detail in photos is of course exceptional. Colours are not only rich, but as close to as they appear in real life. It would be best suited for beginners! The D800's massive sensor allows it to capture wider-angle shots than lower-end DSLRs and affords it a whopping 36.3-MP resolution — the highest for any full-frame DSLR. Its colour accuracy is magnificent, and it captures the finest of details. The D800 also captures full HD videos at 1080p/30 fps in the high-quality AVC format, which can directly output via HDMI to external recording devices for further editing. Although this is one photographic tool that will take time to completely master, but while you’re “playing,” you’ll capture some of the best images you’ve ever seen from a digital camera. The latest in technology and highest quality components often come at a high price. Such is the case with the Canon EOS 6D. Perfect for the professional who doesn’t mind spending on a beautiful equipment like this, but this is not for the amateur. Still, if you want incredibly vibrant and razor sharp images without compromise, this is THE camera for you. 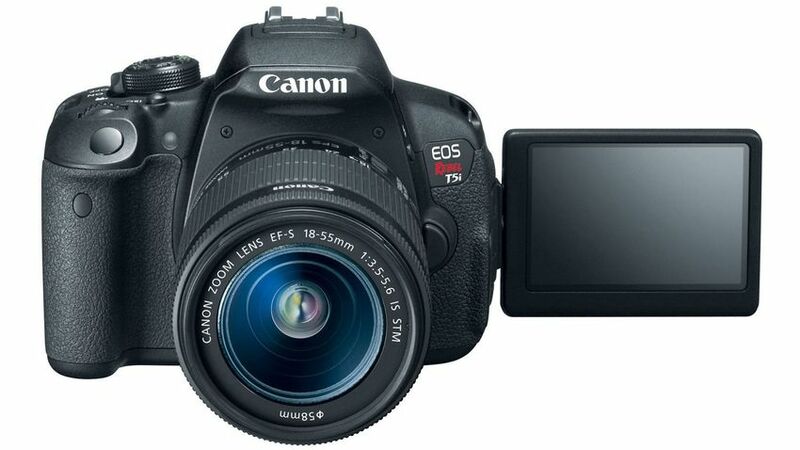 The Canon Rebel T5i is the flagship of Canon`s Rebel product line. This camera uses Canon’s Digic 5 image processor directly with the CMOS sensor and provides incredibly rich photos even at high ISO and low light settings. The Rebel T3i is simply brilliant. It comes with an amazing lens, sensor, and processor there is simply no need for 20+ MP. You will find when using the Rebel that it fits perfectly in your hands and because of its popularity has an amazing array of accessories and lenses available to add on. You can choose to buy the body by itself which makes the price of this camera very attractive. Click memories without worrying about your battery getting discharged because now there are Ravin Power Banks to provide uninterrupted power supply to your camera.